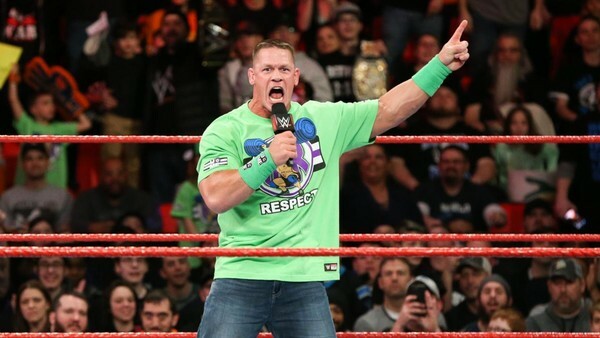 After watching enough of WWE's programming over the past month or so, you'd be forgiven for thinking they've left things a little late to properly build up a match as big as John Cena vs. The Undertaker. There's a reason for that: it wasn't the original plan. WWE were a bit all over the place when it came to Cena and WrestleMania 34. Ideas like him sitting in the stands "as a fan" to watch the show have been thrown around, and higher-ups have finally settled on that big-time clash with 'Taker in New Orleans. Had another legend been healthy enough, there's a chance WWE wouldn't have called on The Undertaker at all. That's not the only 'Mania match that's been chopped and changed though. A lot has changed since WWE started (seriously) hyping up 2018's biggest show towards the end of last summer. Matches that seemed a safe bet have been scrapped, for various reasons, and the card is seemingly one creative still aren't 100% comfortable with.